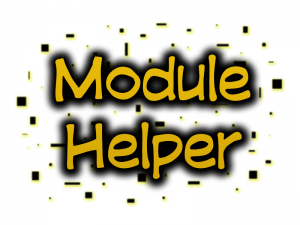 I first started working on Module Helper back in September when Andy’s tool V2.19 was released. As some of you may know, that iteration altered the format of the extracted EFI modules by storing a module’s header, code, and name all in the same file. This created some issues with disassemblers not being able to automatically recognizing the format of the EFI modules and the size of data modules not being updated if changed. Dealing with all these negative aspects was trivial but annoying, which is why Module Helper was developed. It was originally capable of splitting the modules header and data into separate files an it could update the sizes in the headers. It also had a renaming feature that would make locating certain modules easier. I only made this program only for Linux, but I had always planned to port it over to Windows before releasing it. However, Andy’s tool V2.50 was recently released, and it has switched back to using the earlier format for the extracted modules. This event made Module Helper obsolete, but by this time I had gotten used to how it would rename functionality. I didn’t want to lose this convince, so I changed it a little to work with the latest version of Andy’s tool.